Windblox Convertible Windscreens are guaranteed for life against buffs and abrasions during normal vehicle operations. That is, the windscreen will not cloud up, yellow from sun exposure, or incur scratches from regular handling and vehicle operation. Should you ever have a warranty claim, then we will send you one new windscreen, at your S/H expense. Warranty does not extend to etchings or satchel. 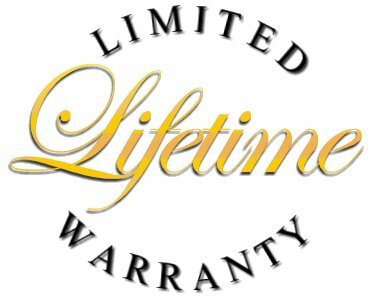 Warranty replacements are limited to one windscreen replacement per customer. The warranty applies to the original purchaser, and is non-transferable. Note that while Windblox Convertible Windscreens are durable, they are not indestructible. If you drop your windscreen onto a cement floor, it will likely chip. If you gouge your windscreen with a sharp edge, it will likely scratch. If you happen to step upon it, it will likely crack. Likewise, if you store the windscreen in the trunk of your car (without being stored in a protective satchel), it will probably get beat-up, scratched, and marred. In other words, Windblox windscreens certainly stand up against normal wear, but not to abuse and carelessness. As long as you remain mindful while handling your windscreen, just as you would with any other product, then it will remain clear for the lifetime of your car.